It is well established that the most valuable assets of most companies are the knowledge and initiative of its employees – the firm's human resources. 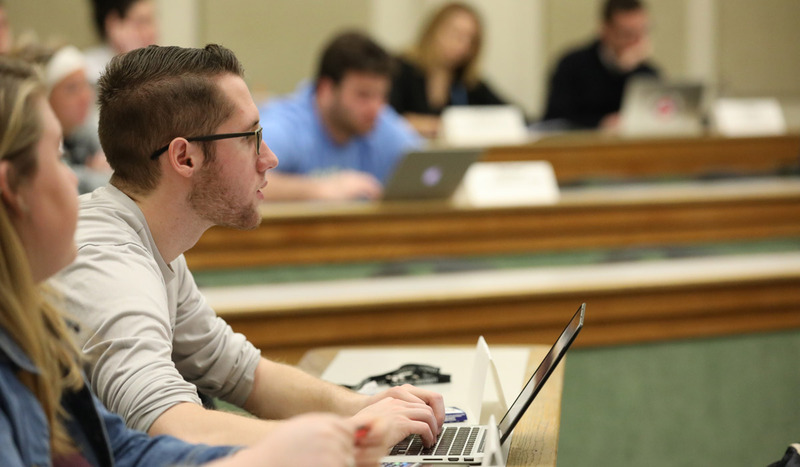 With courses in leadership, organization, and benefits and compensation, the graduate of this concentration is well prepared to devise and implement strategies that will enable firms to make the best use of their human resources. Students majoring in management will complete the degree requirements for the Bachelor of Science in Business Administration (B.S.B.A.) in Management. Major Requirements: To earn a Bachelor of Science in Business Administration (B.S.B.A.) in Strategy, Management, and Operations, students must complete 22 business and economics courses. This includes: 11 core courses (in introductory accounting, economics, management, business law, and ethics); 4 management concentration courses; 4 Math/Computer Science/Statistics courses; and 3 business and economics electives. University Requirements: Students must also complete the core University requirements, specific to their major, in order to complete their degree. Management students are required to complete 16 courses in addition to their business and economics courses. These courses include: philosophy, theology, humanities, literature, writing and composition, and free electives.